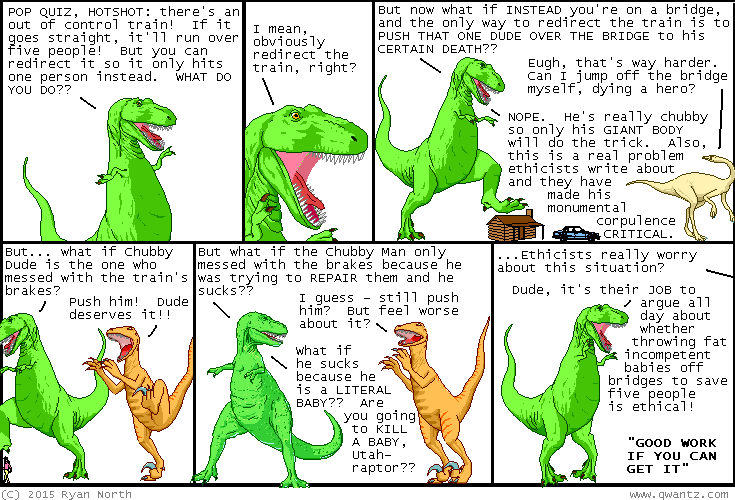 Dinosaur Comics - November 11th, 2015 - awesome fun times! November 11th, 2015: Here's a link to this problem being discussed, if you want to be prepared for this VERY LIKELY eventuality! !